Local private collectors donated precious artefacts to the museum in the early 20th century. Using the gallery displays, we compare British Bronze Age crafts with those of the Ancient Egyptians. Ideal for two classes, but can be booked for one class or even three. Includes a tour of the artefacts, a selection of crafts, object handling and/or a visit to the Big Dig. 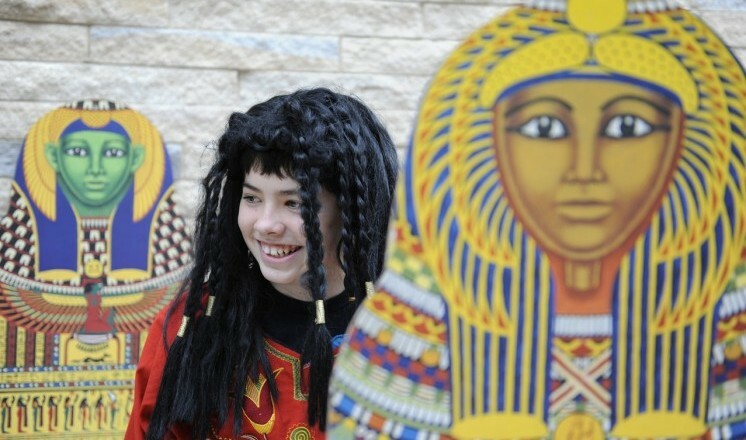 Learn about the Ancient Egyptians through real and replica objects and hands-on activities. You can choose from a tour of the artefacts, mummification reeneactment, a visit to the Big Dig and writing on papyrus.